October is the perfect month to try new things.  Whether it’s dressing up in a new costume, trying out a new recipe, or setting up new decorations to match the fall weather, there’s no better time than now to get creative and express yourself in your Kingsrow apartment or elsewhere in Lindenwold, New Jersey. Today, we invite you to get creative and have fun making a self-portrait. Believe you can. You don’t have to be a professional artist to be creative or to make a self-portrait. Nearly everyone these days has taken a selfie or taken photos with a camera phone, so take it one step further and make a self-portrait. Check out this self-portrait comic for a simple illustration on how making a healthy image of yourself can improve your life. Go with the basics, but also think beyond your idea of a “normal” portrait. If you don’t know where to start, try different settings and themes for your self-portrait. You can have a lot of fun with the tools at your disposal here in New Jersey. Maybe think about going to a place that makes you happy or helps you feel free. Think about a message you want to portray about yourself or your place in the world. You can also be creative with the edits you make to your photo after you’ve taken it, so grab a tripod, a few of your favorite outfits, and start exploring. Think about what makes you you. When thinking of how you’re going to physically (or virtually) portray yourself, it can be helpful to think of something that illustrates who you are specifically. One artist, for example, made this typographical self-portrait of herself with lyrics that described her life. You can take inspiration from these sorts of things to get your creative juices flowing. Check out these 100 self-portraits and tips to shoot your own or these practical tips for catching the right emotion and feeling for your portrait for guidance. Be ok with trial and error. There’s beauty in imperfection, so if at first you feel like you’re failing, take another look. Even if it isn’t your favorite creation, your so-called “failures” can help you pin down an idea for what direction you want to go in and how to achieve that. Learn from these “errors” and keep trying. Don’t be afraid to start over completely or try a whole new angle. It’s often from these moments that you find the perfect angle. 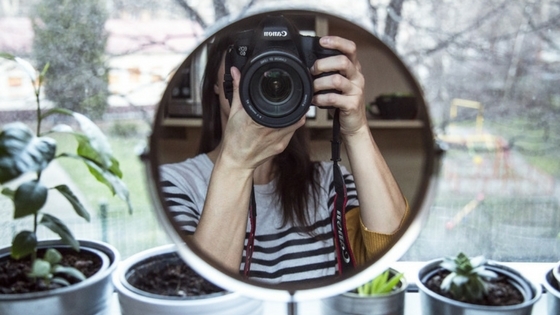 What are your best tried-and-true photography or self-portrait tips for the rest of us? Share your ideas with us in the comments. Thanks for reading!